Powers-None/ Tech, Gadgets, Above average fighting skills,Body armor etc. Bio-A family outing to the cinema ended in tragedy for young Bruce Wayne. Walking homeward, Bruce, his father, Thomas, and mother, Martha, accidentally ventured into Gotham City's notorious "Crime Alley" and were accosted by a mugger. Not content merely to rob the wealthy family, the hoodlum - whose identity was "never determined" - shot Dr. Thomas and Martha Wayne dead before fleeing into the darkness. As he knelt beside his parent's bodies, Bruce swore to avenge them. After the police arrived, Bruce was comforted by Dr. Leslie THompkins. Dr. Thompkins and Alfred Pennyworth helped arrange matters so that Gotham's Social Services would not take Bruce into care. In this way, both Dr. Thompkins and Alfred enabled Bruce to realize his dream of becoming a crusader against crime. Bio - Selina was left alone from an early age, with her mother Maria committing suicide and her violent father Brian drinking himself to death soon after. In order to provide money for themselves Selina and her sister Maggie resorted to petty theft. This continued until Selina's eighteenth birthday, when the sister's crimes caught up with them. Maggie was caught by the GCPD after a botched pickpocketing attempt and was subsequently incarcerated. Soon after Selina lost contact with her sister, presuming her to have either been killed behind bars or to have found a way out of Gotham. Deciding to continue with her own life, Selina began escalating the crimes she was involved in, earning herself the nickname 'the Catwoman' for her talents as a second story thief. In her spare time, Selina still looks for her sister. Last edited by kitkat871 on Sat Jan 06, 2018 1:20 am, edited 2 times in total. Powers - no powers, but he is incredibly smart and technically oriented. Bio - Edward Nigma was once a detective with the GCPD with the Major Crimes Unit. 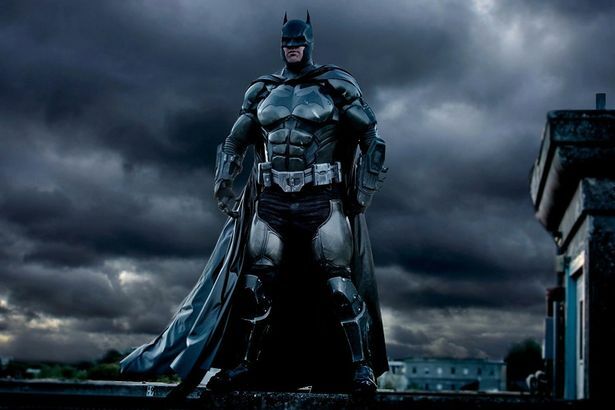 He was a good cop, though a little arrogant, until a year ago when Batman came to Gotham. The Batman drove fear into criminals hearts, solved crime after crime, all the while constantly showing up the GCPD and outwitting Nigma. 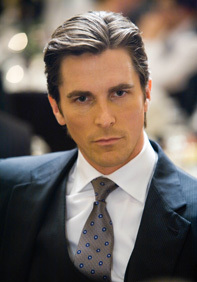 He became obsessed with the Batman, letting his other cases go to fallow any lead he could find on him. He was asked to leave the force, and hasn't been heard from sense, but he's been in the shadows. Watching, testing, planning to find and bring down the batman. 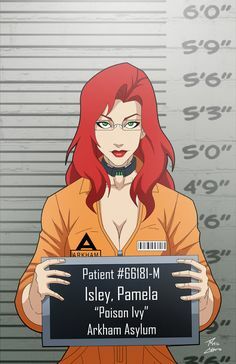 Bio - During their upbringing, Magdalene was often the bigger sister to both Bruce and Selina, keeping them in line if they were out of control or helping them when they were in a tight spot. 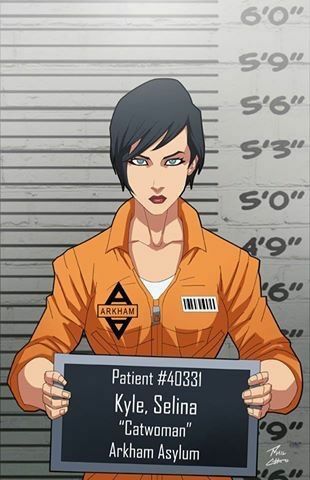 After a botched pickpocketing attempt, Magdalene was imprisoned by the GCPD. During this time she was recruited into the League of Assassins by Ra's Al Ghul, who'd noticed her skills whilst scouting Bruce Wayne. Although they were recruited into the League at the same time, Bruce and Magdalene never met. Instead of being trained as the next successor to the league, Magdalene was trained to be a tool used when the prefect blend of force and stealth were needed. She was trained to become an expert using conventional firearms as well as a skilled martial arts user. She was on a mission in Rhodesia when she heard about the death of Ra's (assuming we are doing this in a spin on the nolanverse) and the destruction of the League as a result. This lead to her eventually working for the criminal known as the Joker, pulling off a manner of crazy heists whilst looking for the person responsible. She has arrived in Gotham with the Joker, although her identity remains a secret to the world. Bio - Pamela was born with an extremely rare skin condition that gave her an aversion to sunlight. She also had an abusive father and from watching him win his wife's forgiveness with flowers learnt how they could be used to manipulate people. Before she was murdered by her husband, Ivy's mother also taught her the basics of gardening. In college Ivy created designer drugs, which caused her to be expelled and put in jail pending a criminal indictment. However, due to the Dean being hooked on her supply, Pamela's charges were dropped. After graduating, Pamela tracked down and murdered her father using an untraceable poison. She then secured an internship at Wayne Enterprises, but was fired after suggesting the use of pheromones to entice customers. Since then, she has become a reclusive small time drug dealer, growing her own product and hiring Selina to distribute it to her clients. She also took to experimenting on herself, giving her several unique abilities. Bio - Renee Montoya was born in the Burnley district of Gotham City as the eldest child of Hernando and Luis Montoya, who immigrated to the city from the Dominican Republic. She has one younger brother, Benny. Having grown up in the City, Renee saw some of the worst that Gotham had to offer, eventually coming to realise that a change needed to happen. Deciding to become that change, Renee joined the Gotham City Police Department and graduated at the top of her class. She worked with Harvey Bullock to begin with, before being promoted to the rank of detective. She wants to make the city a better place, an attitude she shares with Jim Gordon. Bio - A mystery to the world, Jack White is merely the mask that hides a truly terrible being. Out of the people that have met the Joker face to face, only one of them has lived to tell the tale. That individual was Maggie Kyle. Boasting pain resistance due to his unique physiology as well as an uncanny ability to cheat death, the Joker is remorseless in his madness. Due to Dionesium being present in his spine, the Joker can also regenerate from lethal gunshots and even having parts of his body sliced off. Whilst he rarely intervenes in matters directly the Joker is near unstoppable in combat due to these abilities. 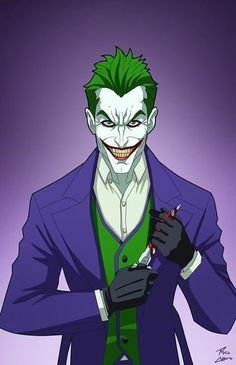 He also prefers to use razor lined cards as weapons as well as a custom nerve agent known as 'joker venom', which only he is known to e immune to. So I take it that your going to play the joker KitKat? Powers- Genius Level Intellect: Victor is also a polymath who has studied many areas of physics and chemistry, as well as neurobiology and medicine. Bio- When Victor Fries was a child he made a hobby of freezing animals in order to preserve them so they can continue to exist in the future. Worried by this behavior, his parents sent him to a strict boarding school where Victor felt outcast and became depressed. However, when he met and befriended a young woman named Nora, the two fell in love and later married. But their happiness was short-lived: Nora was diagnosed with a fatal disease, and Fries, sickened with sorrow, attempted to save her using cryogenic technology. However, the experiment went terribly wrong and Fries' equipment malfunctioned, consuming him and his lab in an explosion of ice. He was an accomplished cryogenicist whose beloved wife Nora was stricken with a fatal degenerative disease. Fries placed her in suspended animation while searching for a way to cure her. But GothCorp's CEO Ferris Boyle stopped funding the research—and Nora's life—and pulled the plug, triggering an accident that transformed Fries' body into a cold-blooded form that must always be kept at subzero temperatures; at normal room temperature he will die. With armor- He almost always has it on if it is not on he must be kept at subzero temperatures or he will die. Last edited by Shadow101 on Sat Jan 06, 2018 6:19 pm, edited 1 time in total.